Another Pineapple chilli sauce, this one has 30% pineapple so the taste isn’t too strong. 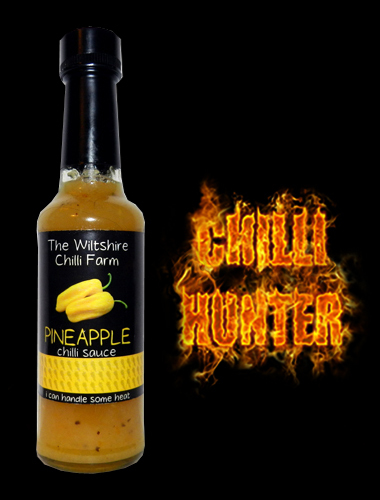 It has a little sweetness that’s cut with the sharpness of lime giving it a zesty punch, another winner from the Wiltshire Chilli Farm. Yet another sauce I have to be quick with before my wife finishes the bottle.